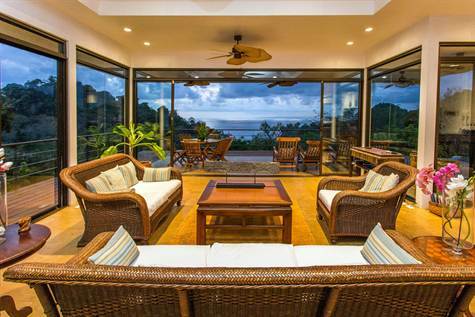 0.36 ACRES – 5 Bedroom Ocean View Home With Great Rental History!!! 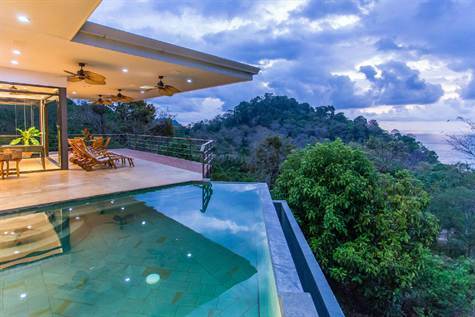 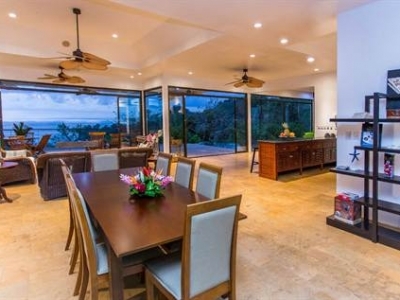 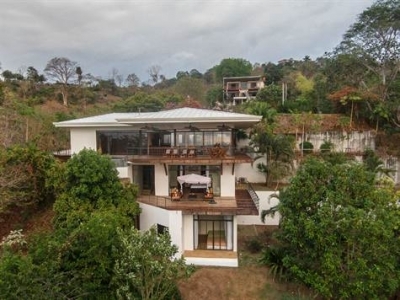 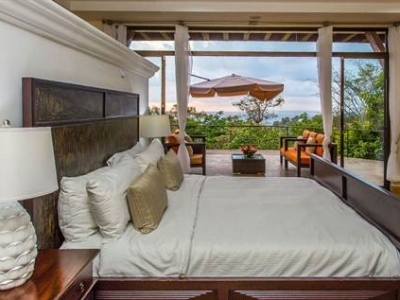 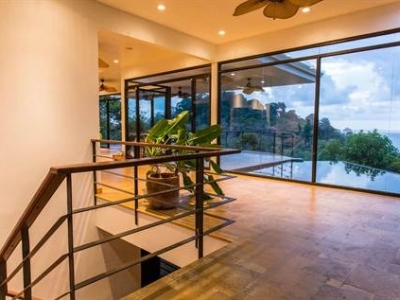 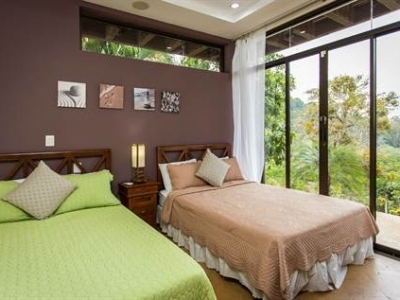 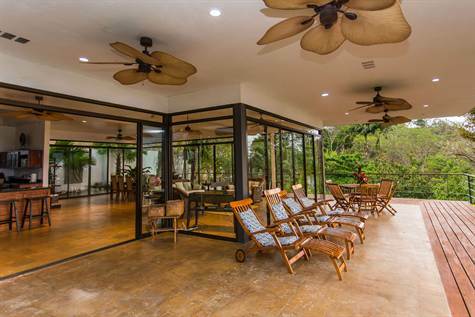 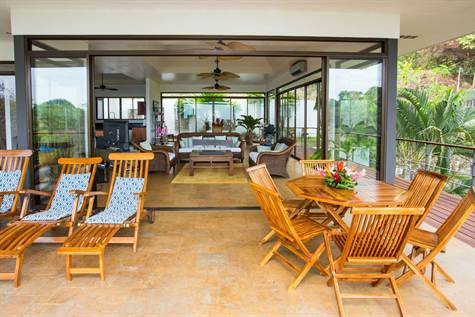 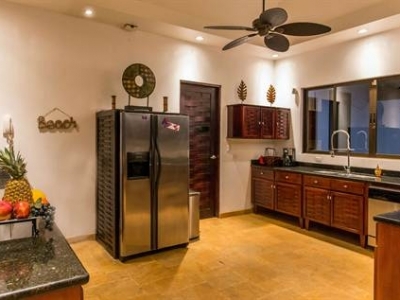 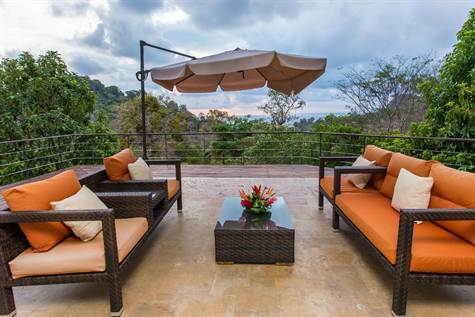 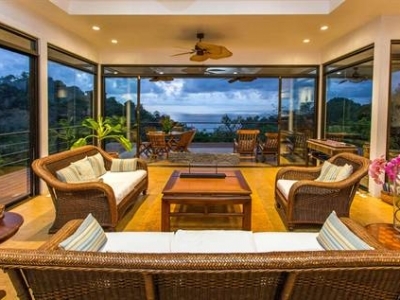 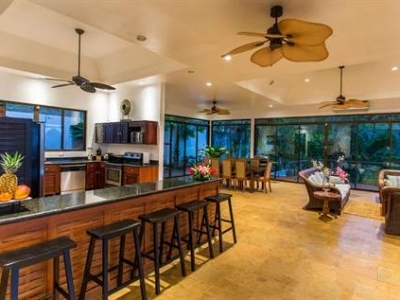 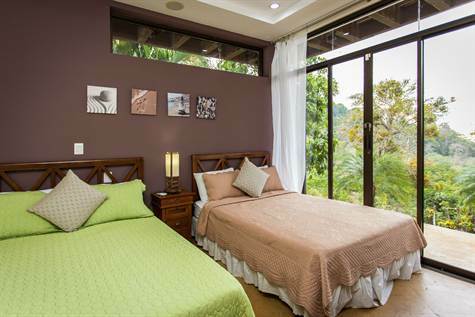 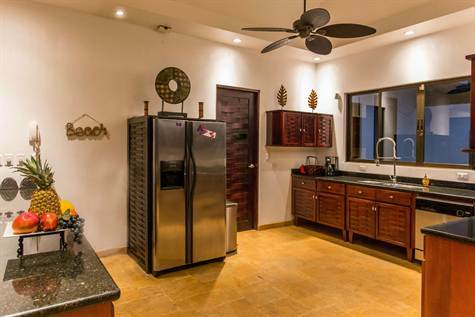 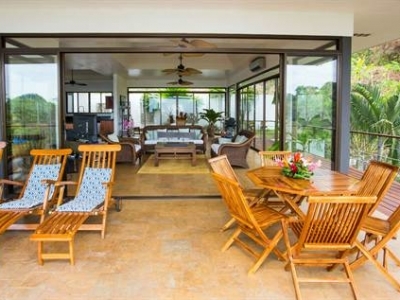 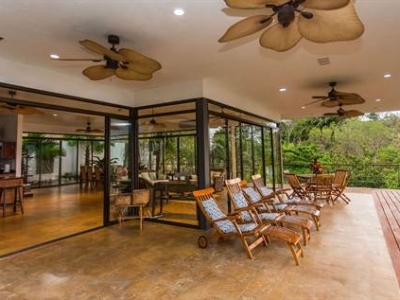 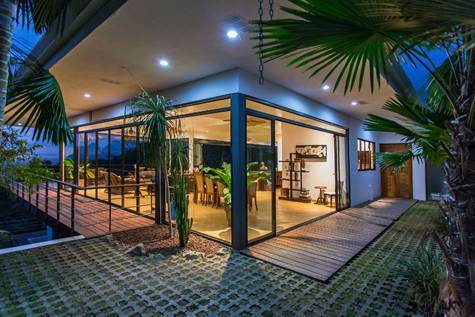 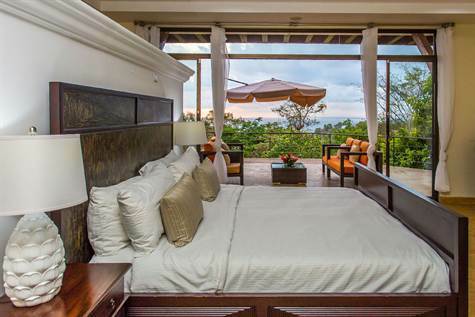 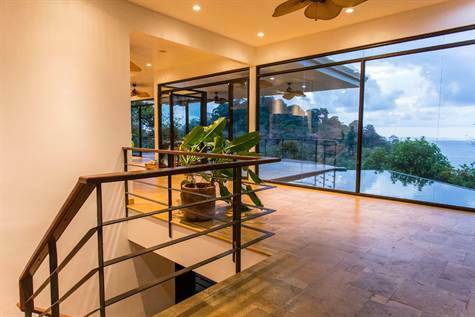 This luxury beach home is located in the last, unpopulated farm in Manuel Antonio, and is a jewel. 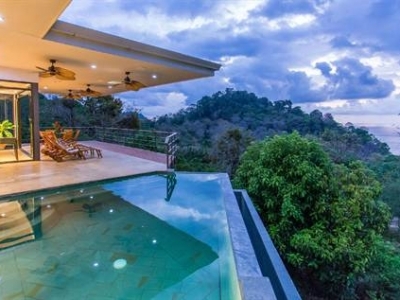 The views are spectacular– the dramatic Manuel Antonio coastline, with rainforested hills and sudden cliffs, and the coastline stretching up north past Isla Damas. 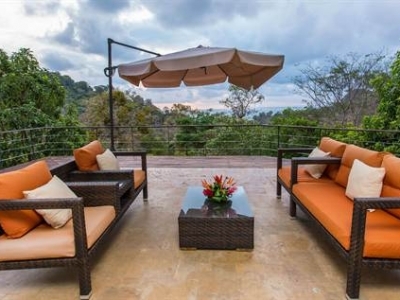 Not only does it have views, but unlike most view-oriented homes in Manuel Antonio, it is just a few minutes walk to a cove beach so private that you can spend the entire day there without seeing another person. 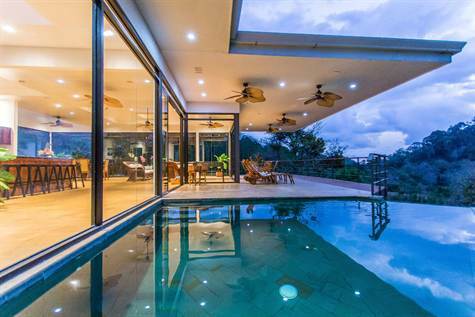 The home features a floating bridge entryway over an ‘amphitheatre’ style water element. 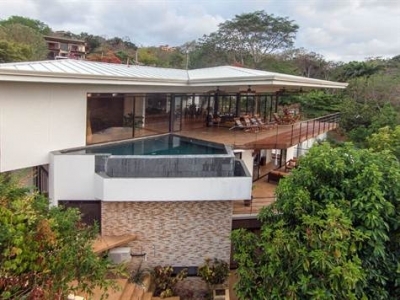 The home is built in three levels providing ample room for families or friends to share in space, but also to have great privacy when desired. 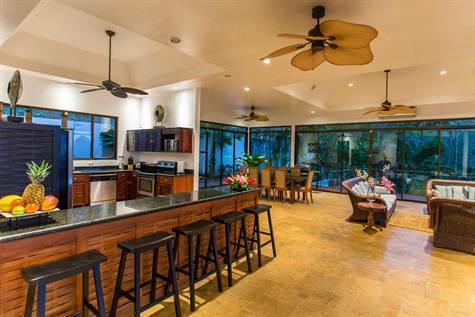 The top level of the home which is where the garage and main entry level are, hosts an enormous open floor plan kitchen, living and dining area with terraces and gardens surrounding all sides of the home. 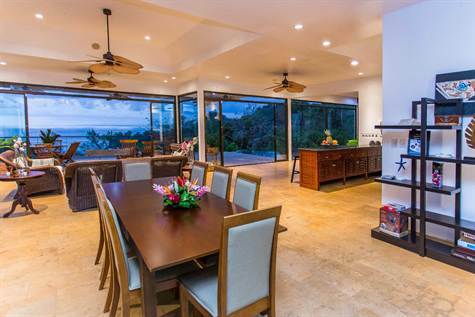 The entire space is bathed in natural light and can be opened up to welcome in the cooling sea breezes. 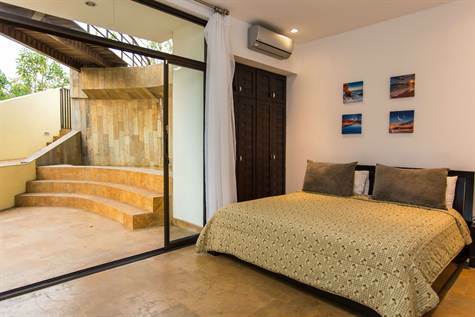 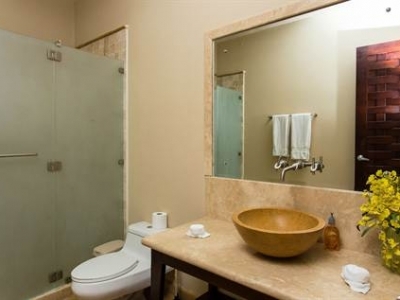 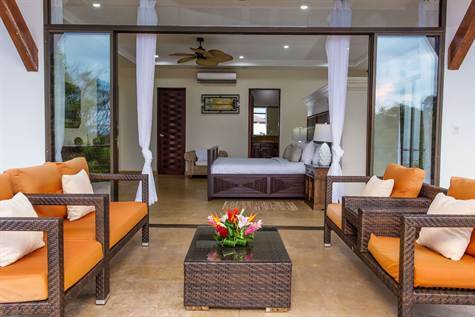 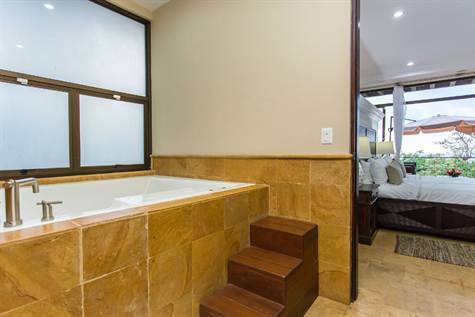 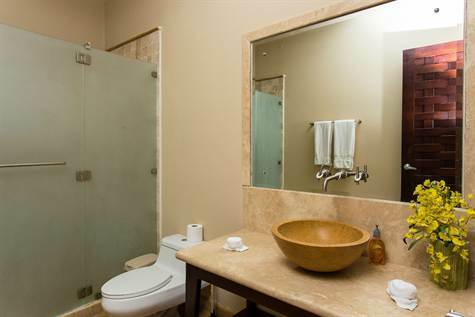 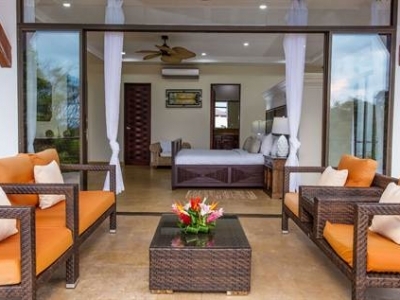 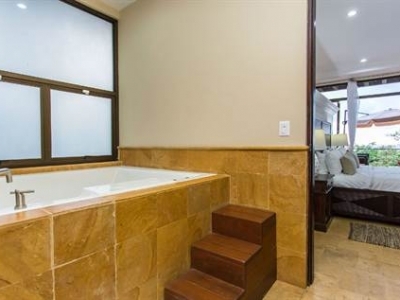 On the second level down, there is an emormous master suite, which is equipped with an oversized private terrace, private laundry and private bar/coffee area. 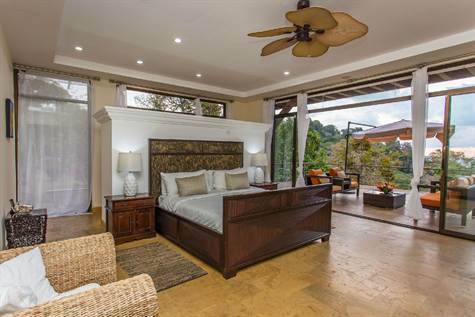 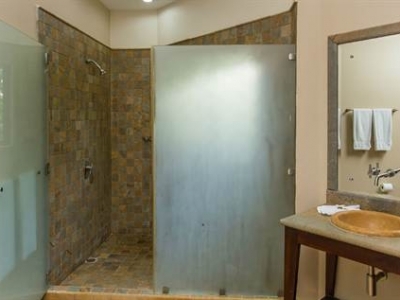 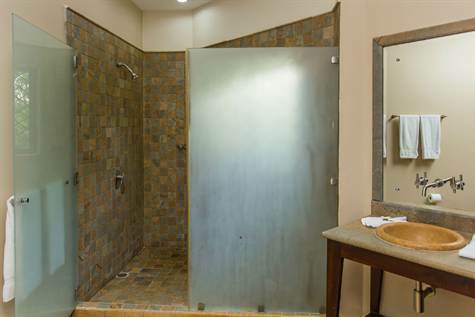 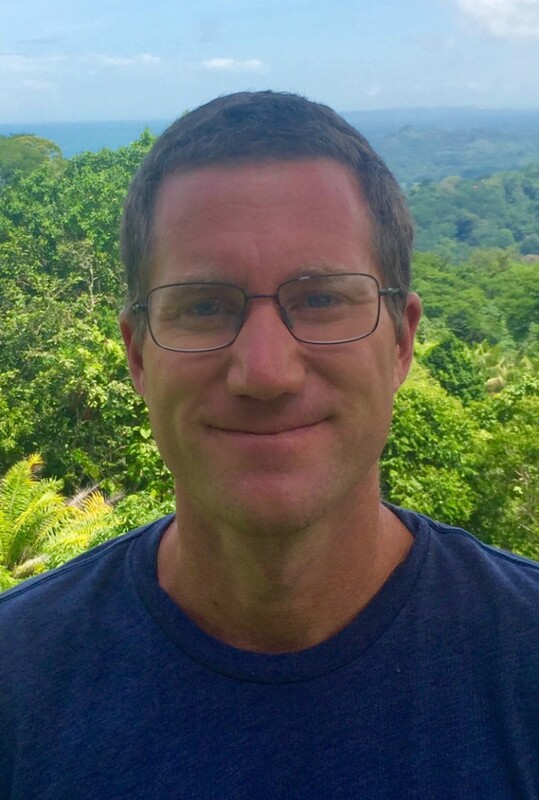 On the same level as the master is a new remodeled guest bedroom which spills out on the waterfall deck as well as a sfull second bathroom. 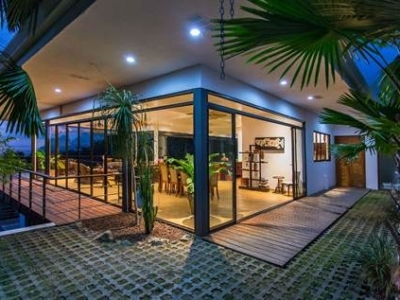 The Final level of the home . 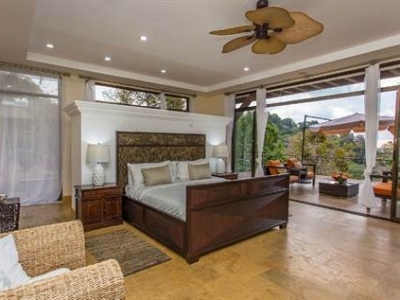 The final level of the home hosts a second den or reading area, three full bedrooms and two full bathrooms. 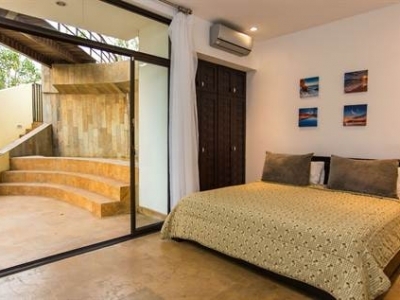 One of the bedrooms has the ability to access from the exterior of the home directly and can be used as a 5th rental bedroom or could easily be converted into a caretakers apartment.